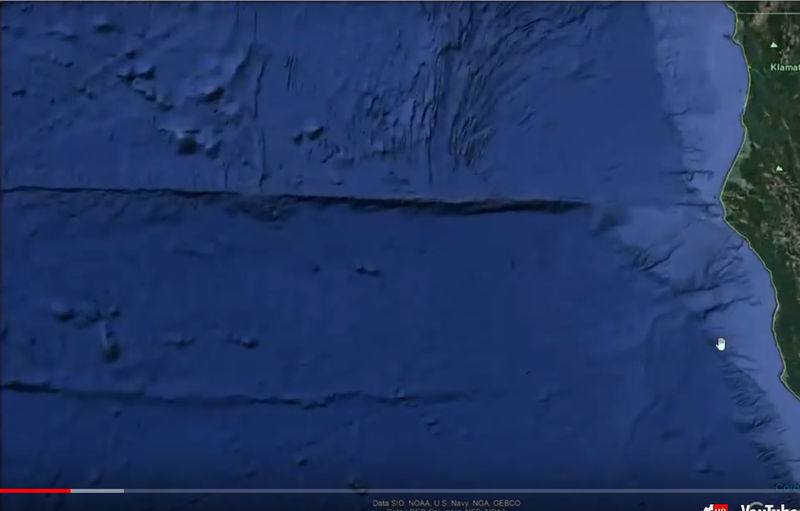 Perspective view of large volcanic field located on the south side of the Mendocino Fracture Zone. Individual volcanoes as large as 2 km in diameter, some with summit calderas as much as 50 m deep. The entire volcanic pile is 1.6 km high and represents a volume of more than 720 km3 of volcanic material. Vertical exaggeration 5x, looking N.
And here is where the event occurred. You can check the relief of the coastal areas are exactly the same in the two photos. 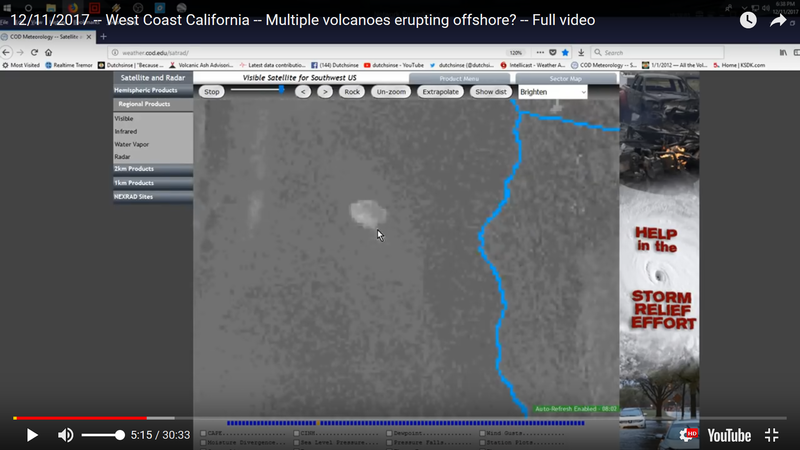 Shh, don't tell her but everyone, except she(Phage), knows that this area is choke full of underwater volcanoes since those two ridges (Escanaba and Mendocino) are part of the underwater volcanic fields in that area. edit on 20-12-2017 by ElectricUniverse because: correct comment. edit on 20-12-2017 by ElectricUniverse because: add comment. Still waiting for you to show me where I claimed it's a hoax. It's a cloud, not a volcanic eruption from a depth of 10,000 feet (or more). Kavachi (that video you posted) is very near the surface and, in fact, created a small, short lived island in 2003. Not really a valid point of comparison to a cloud. Even when threads like this are placed here, it's still required to discuss the OP topic....NOT ATS policy. Any issue with policy should be taken up with the staff in private. Continuing to post gripes about policy in this thread will result in post bans being handed out. edit on 27-12-2017 by ElectricUniverse because: correct comment.